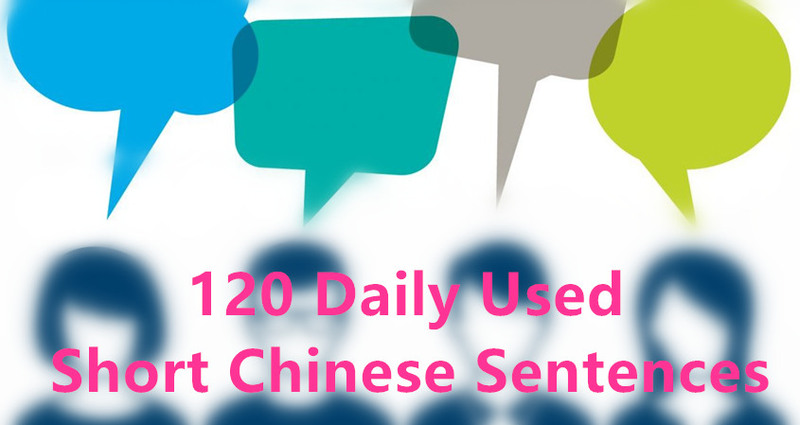 Chinese language often gets a rap as one of the hardest languages for native English speakers to learn to speak. I am no Chinese expert and I have a healthy skepticism of the word “fluent.” However, as someone who has managed to develop a high level of proficiency in it as well as two other languages, I often get asked for suggestions. For starters different internal wiring and different circumstances mean there is never going to be a one-size-fits-all solution to learning a language. An exchange student in Chengdu, for example, is going to have a very different Chinese language learning reality than a banker taking a class in New York. Even classmates from the same program are likely to have very different experiences and abilities after one year. In addition, it would be impossible to fully address “how to learn a language” or even “how I learned Chinese” in one post. Instead, I want to share some insight on just one theme that I believe can help any serious student of Chinese (or any other language): the benefits of the immersion experience done right, and why you don’t necessarily have to leave your country to do it. I’m sure you’ve heard it before: the best way to learn a foreign language is to move to that country. (To those eager language learners for whom a move another country is not a likely move, bear with me: I will get to you in a few paragraphs.) As someone who has spent time in foreign countries to improve each of my languages, I will happily preach the Gospel of Go Abroad to anyone who will listen. Not only did I experience all the wonderful clichés about friendship and self-discovery, but my linguistic abilities sharply increased as well. However, moving to another country is not a guarantee that you will become a proficient polyglot. Even when abroad, achieving real immersion takes a conscious effort. I’ve been living in Taipei for over a year now. It is a remarkably convenient place to live, but that same convenience can also make it challenging as a language learning environment. Like many other big Asian cities, Taipei is full of English, and it can be hard to avoid: traffic signs, restaurants menus, enthusiastic pedestrians and salespeople to name a few examples. Even if you resist the urge to rely on English, those of us with no hope of passing for běndìrén (本地人), all have frustrating memories of standoffs when locals insist on responding to our Chinese with English. This can be irritating for any level speaker, but can be discouraging for new learners in particular. Especially if you are learning Chinese in a big modern city, don’t expect interactions in Chinese to always come to you. Many people see a foreign face and unconsciously switch to wàiguórén (外國人) communication mode, which often just means English. So what can you do? Insist on using Chinese as much as possible with everyone, even if it is a struggle. In addition to improving your conversational ability, it will help develop a mindset that will be a great asset to you as you continue to learn (In the next post I will talk more about my experience in reacting to these situations). Regardless of the interests you decide to pursue, the goal is to throw yourself in a situation in which you can’t regularly fall back on your mother tongue. While this doesn’t necessarily mean ditching your fellow wàiguó compatriots completely, it will likely mean often making conscious choices between people and situations that allow you to practice and those that will be English Only Time. Far more ideal—but even less accessible than moving to a foreign city—is to get as far off the English grid as possible. Drop yourself into Just South of Nowhere in the huárénshìjiè (華人世界) and try to swim your way back to comprehension. Before Taipei I spent two years volunteer teaching in a [very, very] small village in rural Yunnan, China. Besides speaking English with my teammates and a small handful of handful of gung-ho English teachers at the local middle school, I was living in a near immersion utopia. When my Chinese failed me (and it often did in my first few months), I could fall back on almost anything—frantic pantomime, drawing, my phone’s dictionary—except direct English to get my point across. Bear in mind: a real and total immersion can and will be emotionally and physically taxing. My decision to go all-or-nothing in studying Chinese was influenced by my first immersion experience in Argentina when I was 16. Not only did my host family only speak Spanish, but the few classmates that spoke some English had been instructed not to speak to me in it, and I was the only exchange student at my school. With no laptop, no Skype, and no smartphone, I went long weeks between each sweet taste of the mother tongue. It was often painful and solitary the first few months, but it ultimately gained me a dexterity in the language I doubt I could have obtained otherwise. 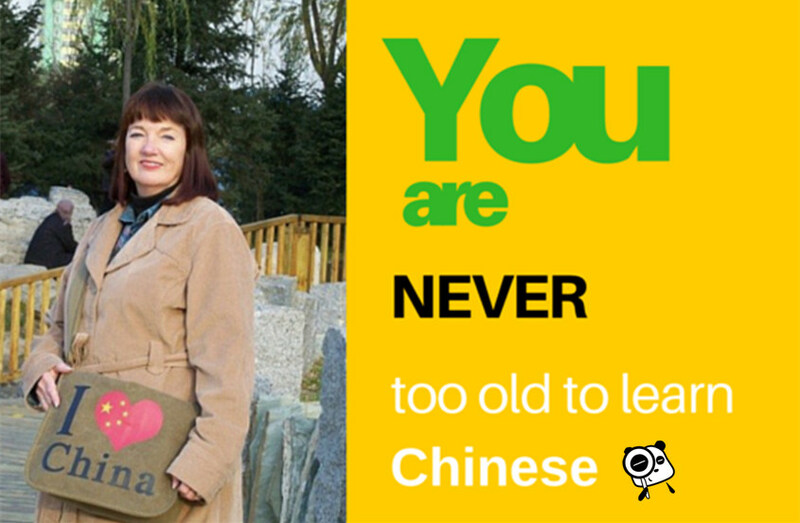 Having gone through that first experience didn’t make learning Chinese in my village less lonely or challenging, but it did provide me with a historically-backed guarantee that the pain was only temporary and the ultimate gain was worth it. Despite the many benefits of living abroad done right, I am fully aware that it is not a practical option for many. A helpful alternative can be to take classes in the target language. However, many people’s interactions with the language end almost as soon as they leave the classroom. And unlike living abroad, you are probably less likely to casually encounter the language you are trying to learn in your various day-to-day activities. So what is the less globally mobile individual to do? Study abroad at home! This concept was introduced to me by a Japanese student I met when I was studying in Kyoto. I was working quietly when he approached me suddenly and without context. In English, he asked if we could just have a conversation. I was initially annoyed that I was singled out once again by my very foreign foreignness, but out of politeness obliged him for what I thought would be a few short minutes. I was intrigued, however, when he explained the reasoning behind his approach to randomly seeking out foreigners in Kyoto. Although he had never been able to afford to study abroad, he had observed that many of his friends that did came back from America and elsewhere with stories and photos featuring only other Japanese people and with little change in their English abilities. He figured he could get a better international experience without ever leaving Japan by interacting with as many foreigners as he could in English. Obviously, try not to harass random strangers, but definitely look to see what local resources you have. Are there any relevant college clubs? Is there a Chinese community center? Or do you even just have a friend or co-worker who would be willing to practice with you? With the Internet, geography is not a limiting factor in getting access to Chinese or any other language, either. Social media platforms like Skype, Facebook, QQ or online language communities like lang-8 make it easy to connect with natives if there are none around you. Even practicing online just once or twice a week with a native speaker can be helpful to your linguistic development. In addition, integrate Chinese into your daily life and entertainment: change your phone, Facebook, laptop settings, whatever you can into Chinese. Watch TV and movies in Chinese online (you can use subtitles!). It may be challenging at first, but I have been amazed by the number of people I have met who learned nuanced American English primarily through Friends or The Bing Bang Theory. Find yourself a new favorite Chinese-language director or Taiwanese drama. If you can stomach the high-pitched voices, I have friends who also vouch for the effectiveness of animated children’s shows like Xi Yang Yang. Whether you are considering a cross-border adventure or seeking to get the most out of domestic studying, I hope these thoughts are helpful to you. Please share your own experiences or insights into immersion in the comments below. Derek is a naturalized USA-ian whose start with Chinese began as an outgoing college senior. Since then he has spent three years coming to terms with tones, strokes, and endless chéngyŭ (成語) in both rural Yunnan and Taipei. He has no blog, but enjoys chatting with folks offline, exercising and learning about the many things he didn’t know he didn’t know.